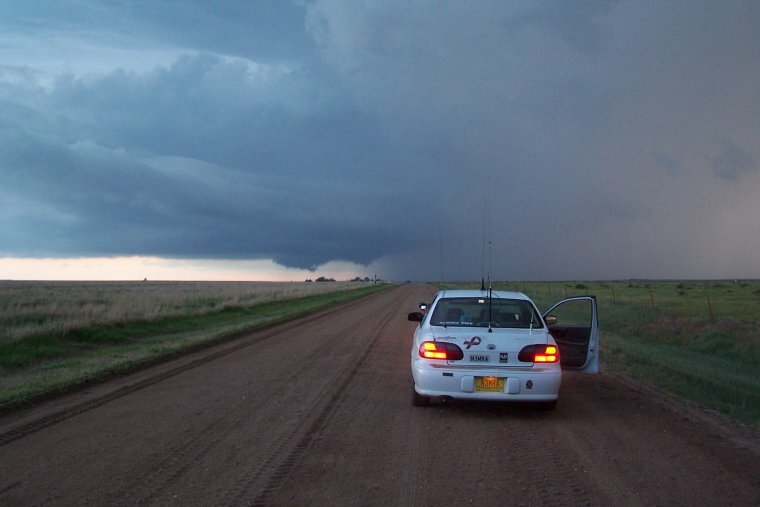 Here is my archived Storm Chase 2010 page. 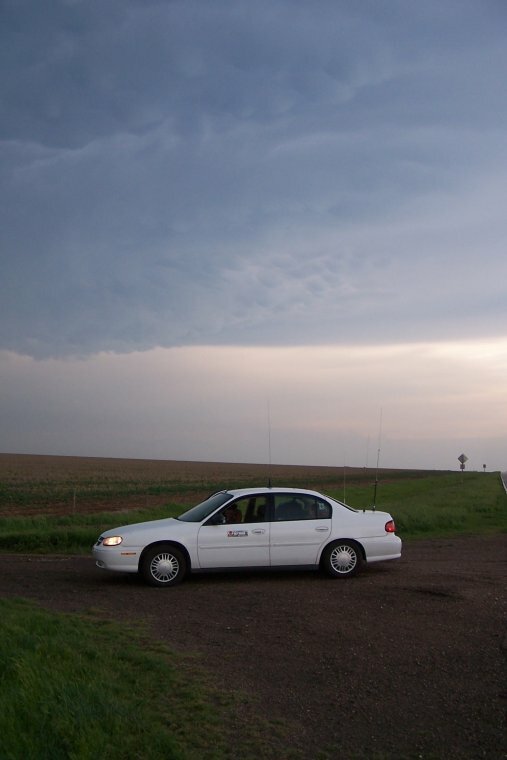 My storm chase vehicle was my 2002 Chevrolet Malibu. 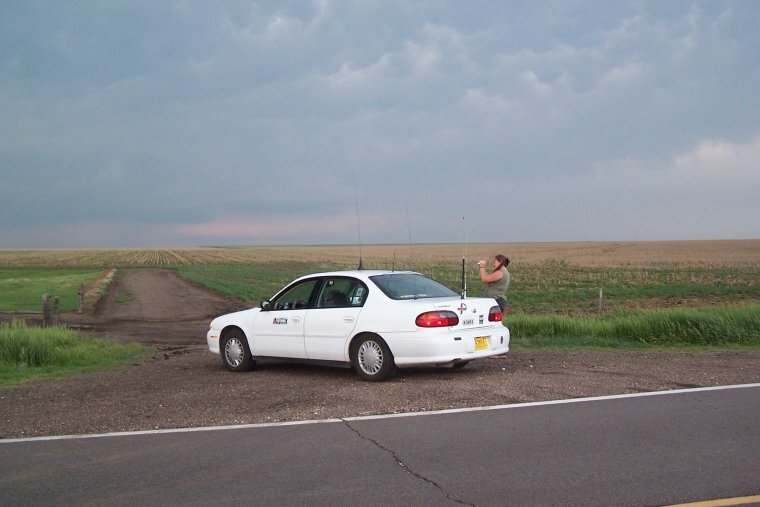 Equipment-wise, I was using a Yaesu FT-7800 (VHF/UHF), FT-857D (HF), Icom-281H (APRS), and an Autonet Router. Today, we departed Socorro in the late evening, headed east. We got the Malibu ready and gently drifted to Tucumcari, NM along I-25 and I-40 for hopes of a chase in southwestern Kansas tomorrow. 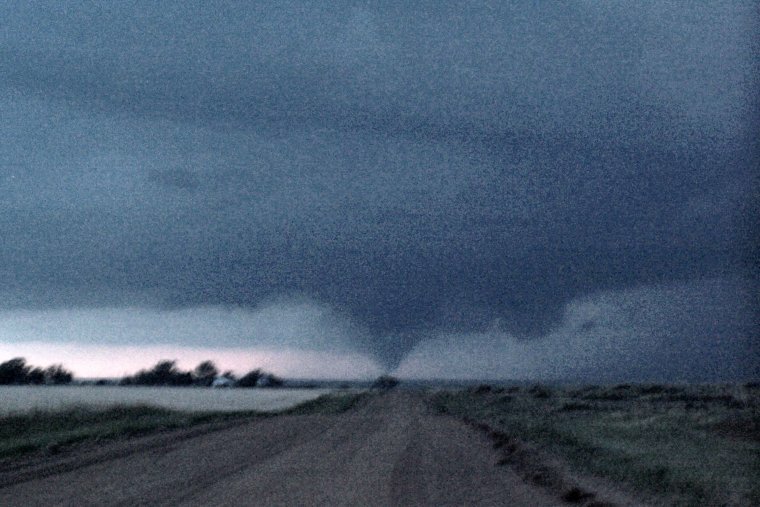 Our best bet today was somewhere along the KS/CO border. We first targeted Liberal, KS, and so we headed northwest along US-54. I got to run one of the last counties I needed in NM- Union county, and then we cut across the upper northwest corner of the TX panhandle. We had lunch at Subway, refueled, and went due north out of Dalhart on US-385. After a while, we stopped and re-evaulated north of Springfield, CO. 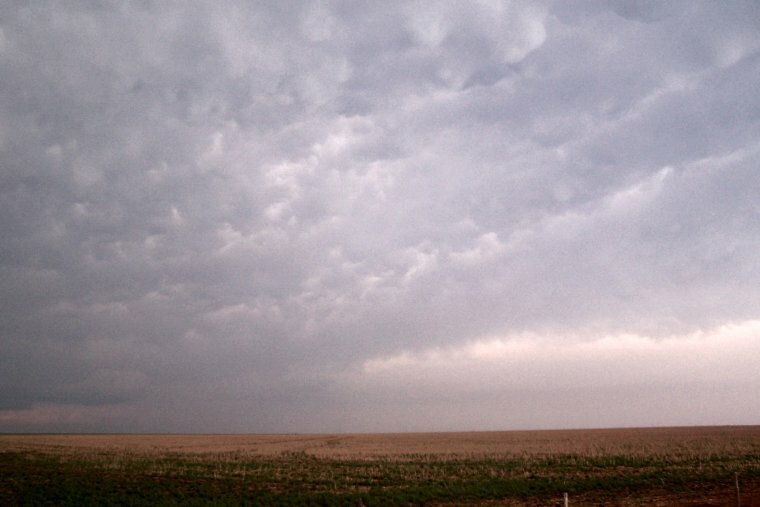 There were some storms beginning to fire at the CO/KS line. There was much discussion on whether to head farther north, or start heading east. 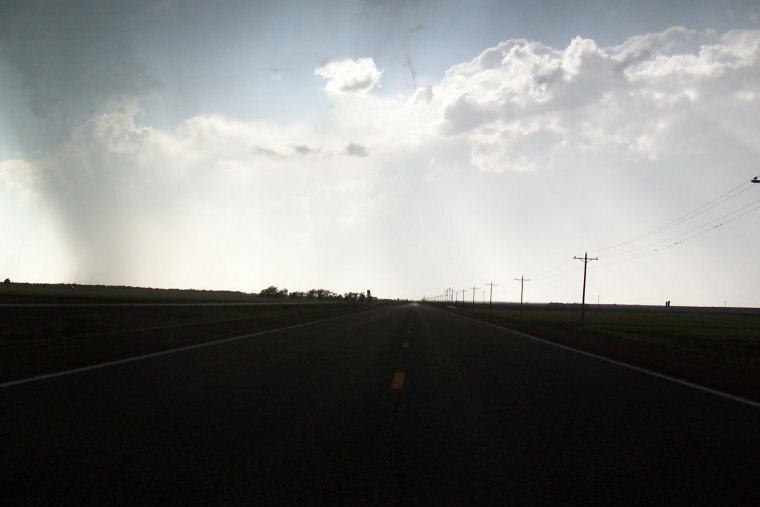 We chose to head east and crossed into Kansas along CO-116, and then eventually US-160. Quickly, the storm weakened. We could tell this as it was ingesting cold air from earlier precipitation. It was almost chilly enough to need a coat. We continued north until after dark. Near Oberlin, we started to see quite a bit of lightning to our west. 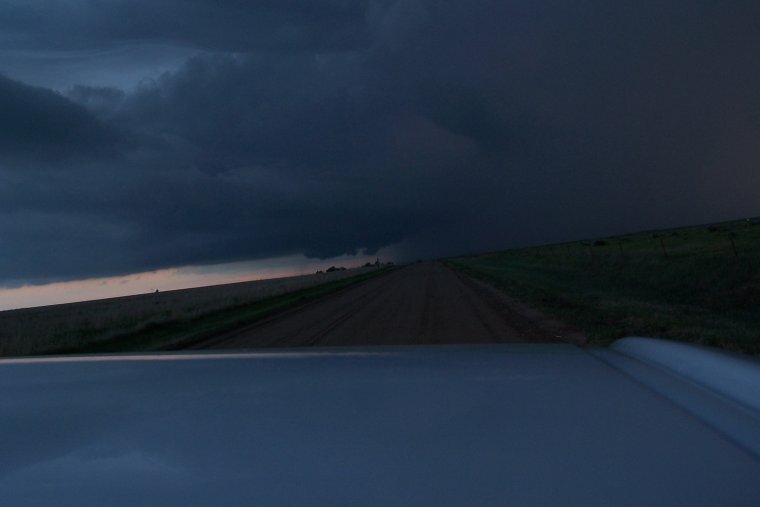 We pulled over to watch and photograph the lightning. I didn’t get any post-worthy photos. 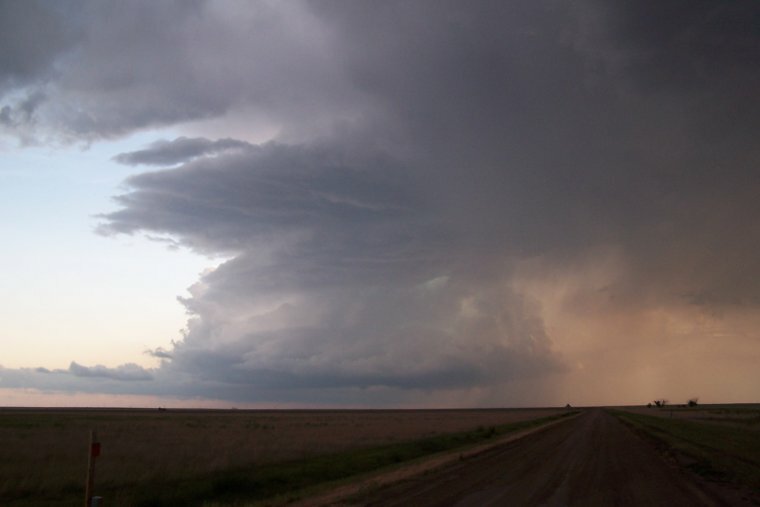 We soon realized that this storm was approaching rapidly, and the NWS radio said it contained large hail. We quickly headed towards Oberlin, taking shelter under a bank overhang. Bank overhangs make great hail shields, but they often attract police officers. 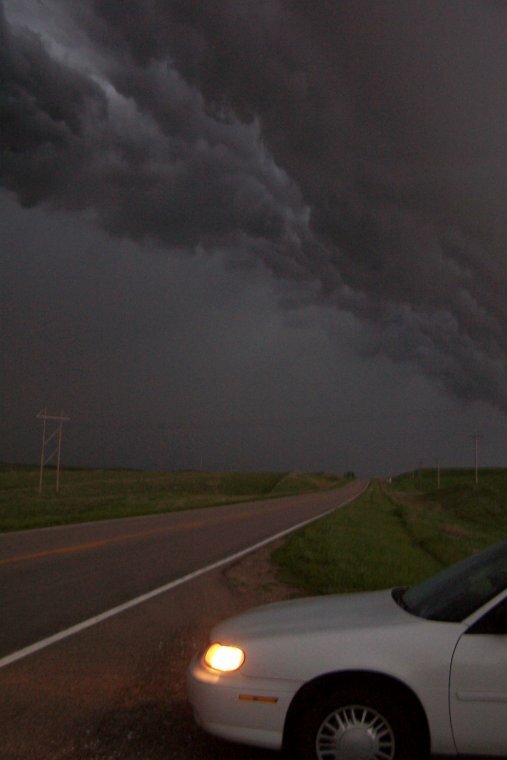 Anyway, we met a town police officer, who was really interested in storms. 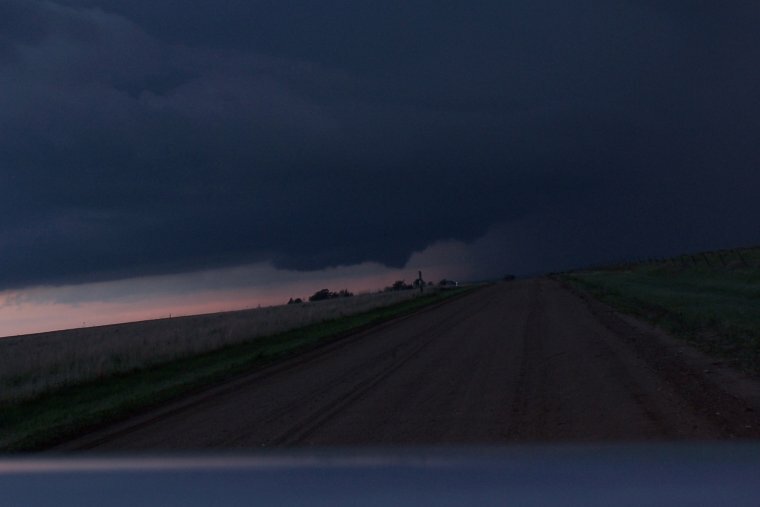 He chatted with us for a good half an hour, giving us a history of the storms that he remembered. This storm was not memorable, as it did not even so much as rain in Oberlin. 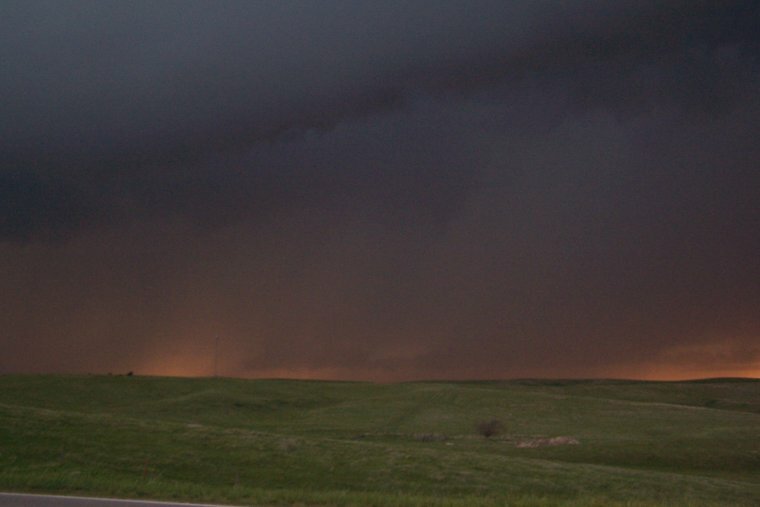 With that, we continued on our way, making it to North Platte, NE in the early hours of the 24th. Today was an interesting chase day. We arrived at the hotel in the early morning hours, and were soon back out on the road again. Today, we needed to head a bit west. 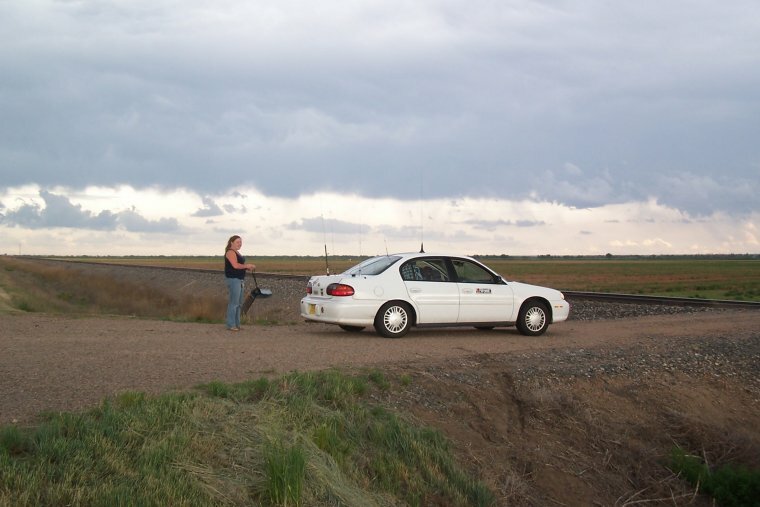 I targeted Scottsbluff, NE that morning, so we drove out I-80 and then at Ogallala, we took NE-61 to US-26 towards Scottsbluff. We refueled in Ogallala and re-evalutated. It seems as though the cold front was moving much faster than us, and we needed to get moving east on I-80 at once. 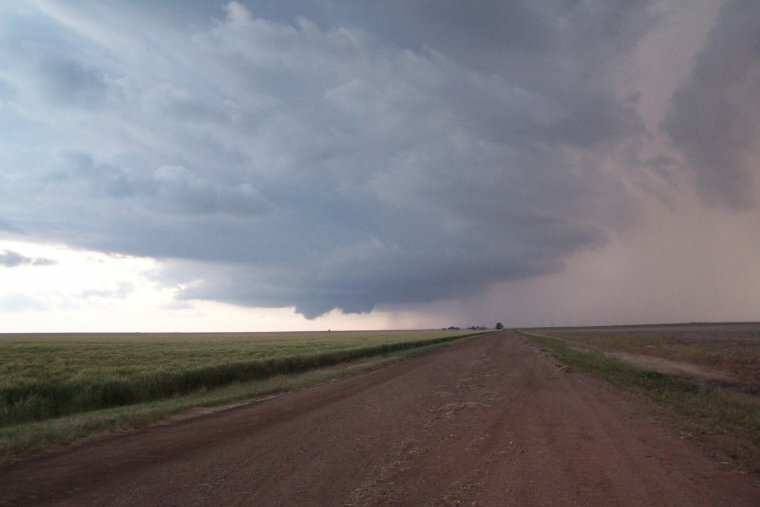 We cruised east for a while, punching through a weak spot in the building squall line that marked the cold front. Once ahead of it, we stopped at a rest stop for a very quick break. That’s when the first tornado warning was issued, to our southwest. We headed east some more on I-80, figuring out that the powerful cell embedded in the squall line would likely pass north of Lexington, NE. 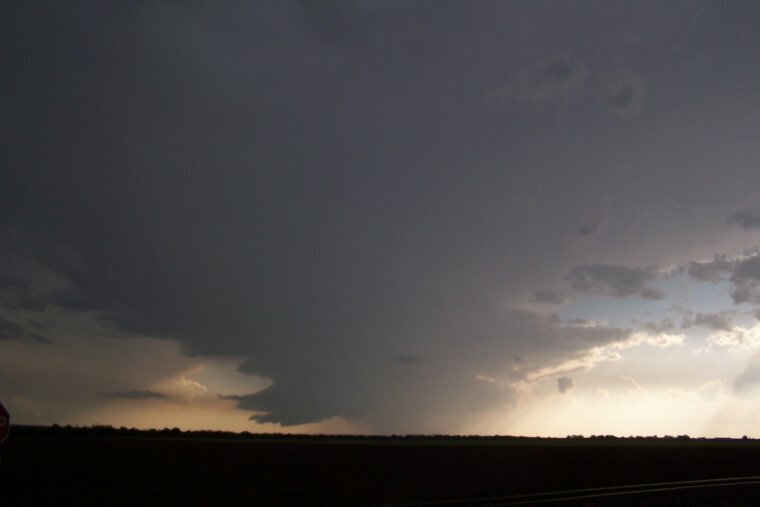 We jogged north maybe about ten miles on NE-21 and watched as the squall line weakened and passed over us, with the sun setting behind it. After this, we headed back to the same hotel in North Platte for the night. Today was our most exciting chase day of the year. 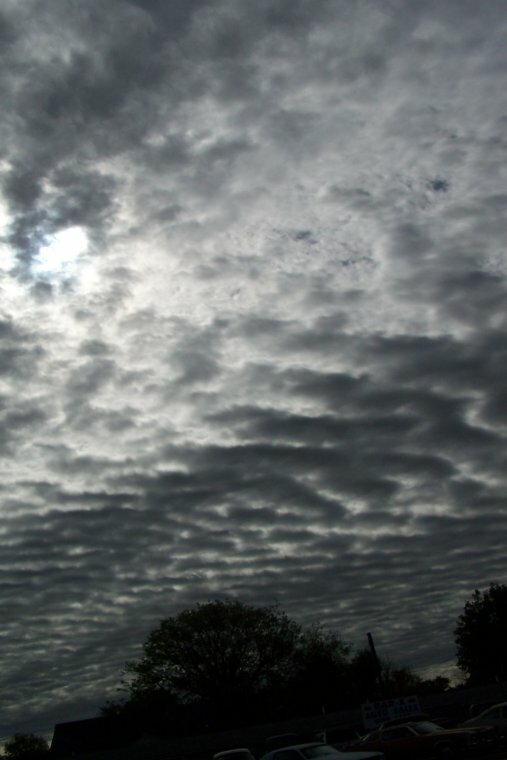 We woke up in North Platte, NE to these altocumulus clouds. 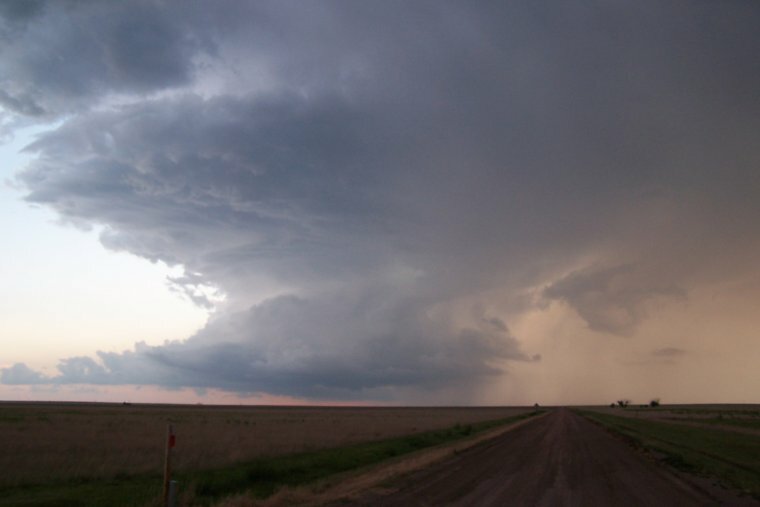 The best potential for storms was near the KS/CO border, and because the Day 2 and 3 outlook was pretty crummy, this worked in our favor, as it was a chase in the direction of home. We cruised down US-83, which had become our second home on this trip. Throughout our journey during the day, most of the weather was overcast and gray. 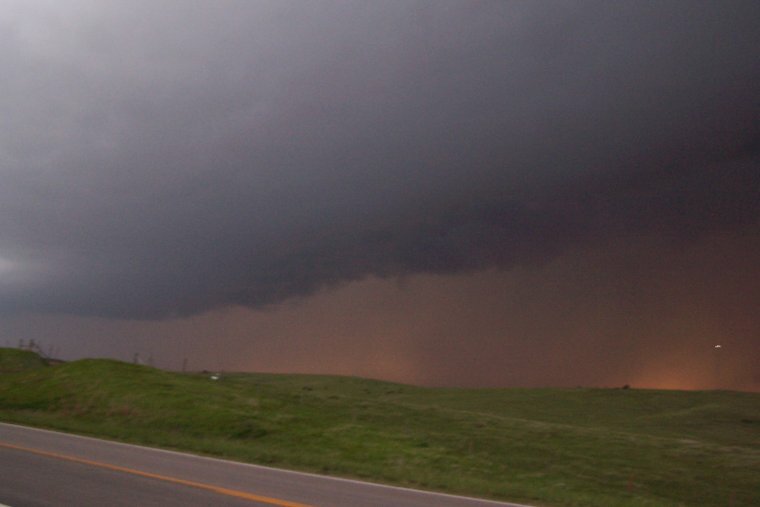 It wasn’t looking like a very promising storm chase day until we got south of I-70. 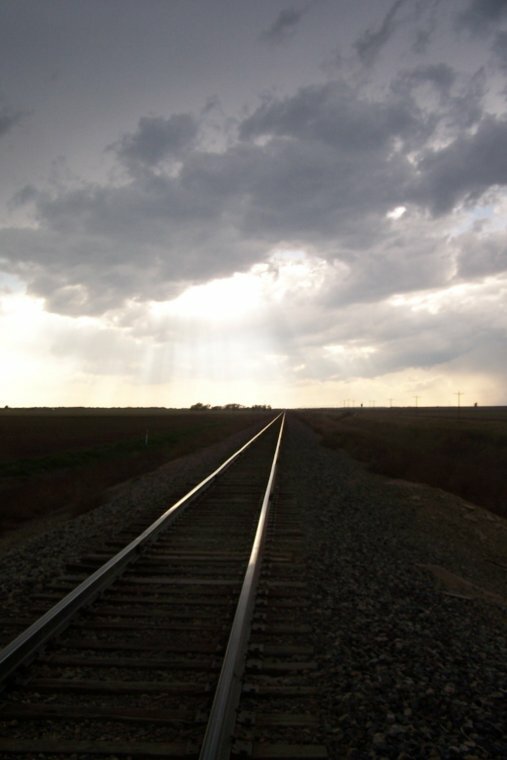 As we continued south, the clouds began to thin, the temperature was much warmer, and our spirits were up. We stopped to reevaluate in Garden City, KS, and opted to head east on US-160. 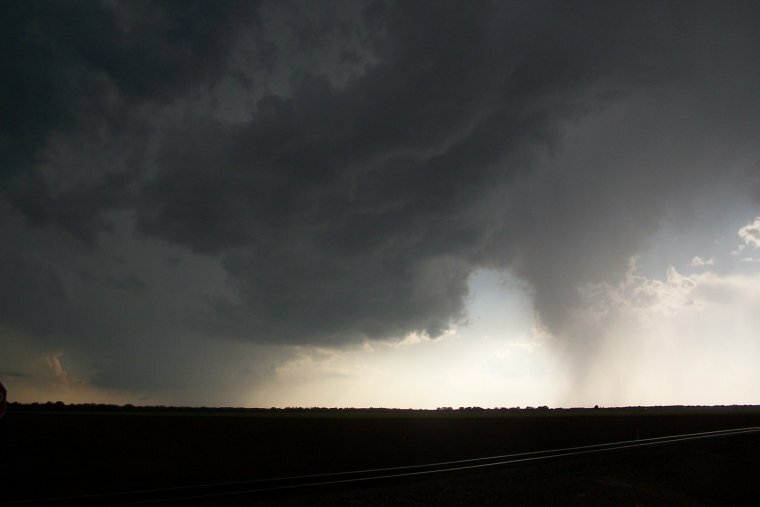 Just outside of Syracuse, we stopped and photographed a weakening cell. While this cell was dying, we could see the faint outline of a strengthening cell behind it, just into CO, and to the southwest of us. We went back to Syracuse, fueled up and chatted with Bobby Edmonds, another storm chasing friend of mine. Bobby had hit a deer, and while uninjured, was out of play for the day. We opted to head south on KS-27. Our decision paid off. 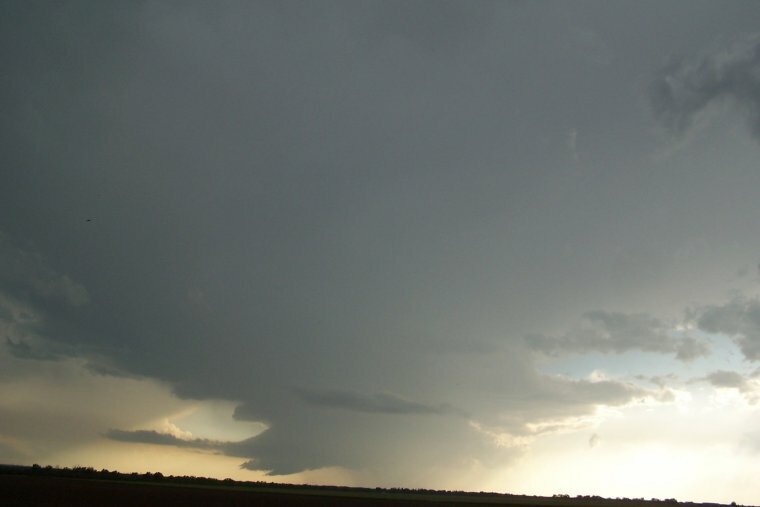 The strengthening cell was obviously rotating and we began to see a low hanging wall cloud. We tried to report it, but were out of range of any amateur repeater. We did call it in to the local police, though we never heard a warning issued. After the tornado dissipated, we headed towards Tucumcari, NM for the night. The SPC Convective Outlooks looked calm for today and tomorrow. Because we were already in Tucumcari, today was a simple travel day back to Socorro. We decided to take US-60 back, just to make it interesting. 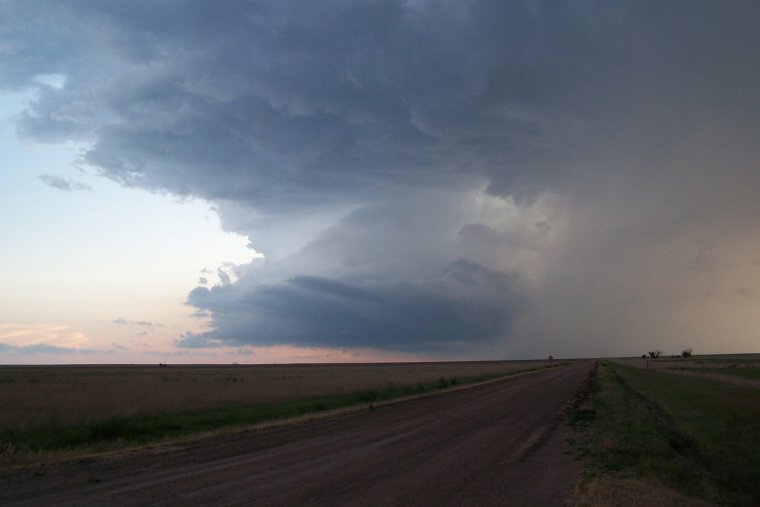 There is potential for storms tomorrow in western Nebraska, northeastern CO, northwestern KS, and southeastern WY. Today was just a travel day. We spent the night in Colorado Springs to evaluate whether to go east on I-70, north on I-25 or northeast on I-76 tomorrow. Today was a dismal chase day, but a fun day anyway. There wasn’t enough of ANYTHING to produce storms. We chose to go northeast along I-76, and then east along I-80, and watched a few cells die for lack of energy. We ended up playing in a park in Wallace, NE and spending the night in North Platte, NE. Again. Today was another travel day. We were originally going to make the 15 hour drive back to Socorro in one shot. Instead, I decided to see if my cousin and his wife were free for dinner in Fort Collins, CO. We made a quick stop at the Fort Morgan Power Plant and took some photos and then had dinner with my cousin. After that, we spent the night just outside of Denver for a much easier jog back to Socorro tomorrow. 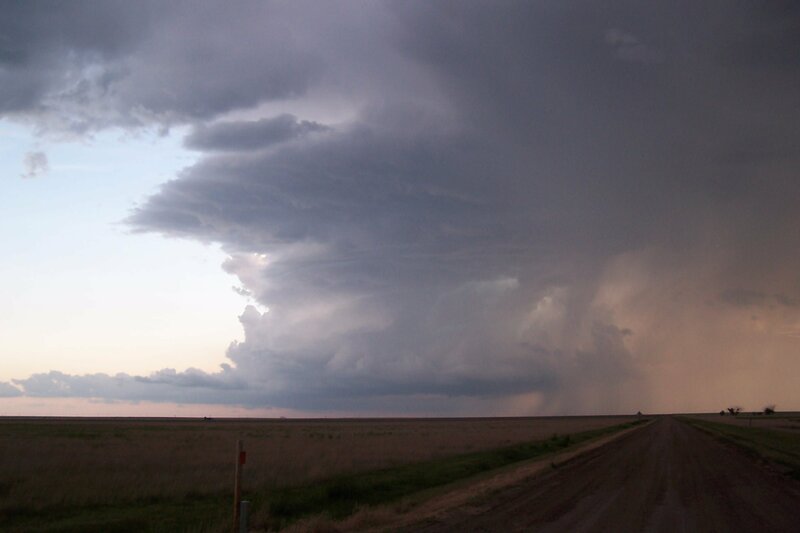 This concludes the 2010 Storm Chase Archive.